Jennifer asks: I’ve read that vaccines cause autism and that they don’t. What’s the truth with this? In 1998, there was a groundbreaking study telling parents that their children were at risk of getting autism from vaccines. Parents everywhere collectively gasped. After all, they had been told for years vaccines were the best way to prevent any number of unwanted diseases. Now they find out the very treatment they thought was making their children better could potentially result in devastating consequences, at least in the case of low-functioning Autism. The only problem was that same study published in the Lancet was later retracted. Its author, Andrew Wakefield, was shown to have falsified data. His “science” proved to be fraudulent, and riddled with conflicts of interest. His research was so void of ethics that the British General Medical Council removed him from the medical registry and he’s no longer allowed to practice medicine in the United Kingdom. The damage, however, was done. As with so many other societal perceptions based on debunked science, vaccines causing autism is still a very real concern for many parents. In a survey published in Health Affairs in 2011, 30%-36% of parents were concerned that their children were given too many vaccines in the first 2 years of life, and that those vaccines might cause learning disabilities (like autism). 10% say they will delay, or refuse vaccinations believing it’s safer than following the recommended CDC schedule. To put this issue to bed, let me say, as a medical professional who has researched this extensively (and someone who has two members of my family who are on the autistic spectrum; so this is a subject I was already quite familiar with even before doing the necessary research to answer this question)- there has never been a single reputable study ever performed that demonstrates any link between vaccines and autism. In fact, countless studies have shown there is absolutely no link between the two. No, vaccines do not cause autism. To understand why I’m so confident in saying that, let’s throw some good science at this myth, learn a little about Autism and vaccines, and see if we can’t quiet down the naysayers. Autism, in general, is a broadly defined developmental “disorder”. Those diagnosed can have a wide range of cognition issues and abnormal behaviors. They can have significantly different social, behavioral, and intellectual abilities. Due to this, the term Autism Spectrum Disorder (ASD) is now used to describe the many differing presentations. Because there are so many misconceptions about these presentations, even among psychiatrists and doctors (and I think in many instances the prevailing views are just flat wrong from my experience), I’ll just refer you to an absolutely phenomenal article by Maia Szalavitz about the work of famed neuroscientist Dr. Henry Markram (director of the Blue Brain Project, an attempt to create a synthetic mammalian brain, and director of the Human Brain Project, an attempt to simulate the human brain using supercomputers). Dr. Markram also found that the prevailing views among scientists and psychologists about autism simply didn’t line up with what he was seeing with his own son’s autism and other cases he studied. Being one of the world’s leading neuroscientists, he has since leveled his amazing brain at the problem. Joining him in this endeavor is the equally impressive brain of his wife, Dr. Kamila Markram. They also note in their research that the cells in question aren’t defective nor under-responsive, but in fact have many more connections than normal, making the network able to learn significantly quicker, which if not controlled correctly in the learning, particularly in the early stages, can have amazingly negative results. For instance, in testing, rats with this abnormality not only learned much more quickly to get scared of something that would shock them, but they also quickly became terrified of not just the electrified object, but everything they associate with the shocking, such as colors and smells, and the like. The rats also had a significantly more difficult time unlearning all these very strong associations. Imagining an entire world where experiences are bombarding the autistic brain in this way led to the Markram’s “Intense World” theory of autism, which also perhaps explains why it takes so long for babies to manifest strong symptoms of autism in many cases. They start out more or less with a blank (apparently hyperconnected) slate, after all. In any event, whether Dr. Markram turns out to be correct or the more widely touted classical views, the exact mechanism within the brain that causes these wide ranging neurodevelopmental problems is still up for debate, though the Markram’s research is very promising. But back to vaccines, if the Markram’s are correct, vaccines wouldn’t have any affect on the situation. This hyperconnectivity is a prenatal development. But what about the more commonly accepted theories? After all, the Markram’s work needs thoroughly vetted before we should accept it, no matter how promising it looks. Again, going back to the commonly touted line of thinking, we know that those diagnosed have atypical neural connectivity within their brains, such as different neural processing of eye gaze direction using EEG (Electroencephalography). We know genetics plays a role, as studies have shown siblings of children diagnosed with ASD have a 15%-20% chance of showing symptoms compared to just 1% for those at low risk. Several known chromosomal deformities, such as Fragile X syndrome, tuberous sclerosis, Joubert’s syndrome, and duplications of the chromosomes 15q11-13, can result in a diagnosis of autism. As to vaccines, there are many types. Some have live microbes that cause an immune response, some have inactivated microbes that also cause an immune reaction. Others have just the antigens that cause an immune response and not the entire microbe itself. The one that gained such popularity as the potential cause of autism was the MMR (measles, mumps, rubella). Onset of behavioral symptoms was associated by the parents with measles, mumps, rubella, vaccination in eight of the 12 children…. All 12 children had intestinal abnormalities…..behavioral disorders included, autism (9), disintegrated psychosis (1), and possible postviral or vaccinal encephalitis (2). His interpretation was that the gastrointestinal problems and the developmental regression (associated with autism) were associated with environmental triggers. Basically saying the trigger was the MMR vaccine. Immune system responses have long been shown to come with some gastrointestinal symptoms. It’s not too far fetched then, to try and show a link between those symptoms and vaccines. A person might also try and postulate a theory to show how those symptoms that are associated with certain disorders (like the often proposed gastrointestinal problems with autistic children) might be caused by those vaccines. The fraudulent disconnect with this myth is trying to say the cause of the symptoms is also the cause of disease processes that results in those same symptoms, even though it has never been shown that ASD sufferers are actually more prone to GI problems than the general population. It probably didn’t hurt that Mr. Wakefield, who used the GI problems as a link in his now defunct study, was a paid consultant to attorneys who represented parents that thought their kids had been harmed by vaccines. In April of 2013, another study published in The Journal of Pediatrics once again showed no link between exposure to vaccines and autism. As others before, this study showed that it didn’t matter how many vaccines the children received, whether all at once or given over time- there was no increased risk of developmental problems. Due to so many conditions potentially affecting symptoms of ASD, this study, like so many others, points out that possible effects of immunological exposure in early infancy can’t be ruled out altogether. However, as noted, our lack of understanding of exactly what is going on with autism is the primary driver of that small shred of doubt, not any indicator. Based on the study published by Mr. Wakefield in 1998, parents were right to be concerned about vaccines causing autism. In the end, though, good science prevailed and has since shown us that there is absolutely no observable link between vaccines and autism. Babies that are vaccinated and those who aren’t have the same rates of autism. So while the choice is yours on whether to have your baby vaccinated, at least you now know autism isn’t something you should consider when making this decision. Well that’s funny. Jeana and Darrell Smith of Baton Rouge have identical twins with different vaccine histories. The one vaccinated months sooner got autism, the other did not. Coincidence? Also the fact there was a congressional hearing on it and the pro-vaccinators pretty much got ownd speaks for itself. The fact remains they REFUSE TO STUDY VACCINATED VS UNVACCINATED KIDS. Your post indicates that you have little understanding of this. Annette’s comments completely disregard science. Vaccines are one of medicine’s greatest boons to society. Countless lives have been saved by vaccines. The US is becoming more and more at risk of outbreaks due to people who absolutely have no regard for the actual welfare of their own children or those of others. Polio. Measles. Pertussis. Diphtheria. Smallpox. These were scourges of mankind until vaccines were developed. I have seen an infant with pertussis (whooping cough) and it is terrifying to see. If you want third world medicine please move there and keep others safe. Annette has a point… She just proved that as far as that website is concerned there is 1 case. 1 case out of millions who have gotten Vaccies. Better stop all kids because there is no way it was a by chance for fluke. @Annette- It’s unfortunate for you that you chose that reference to make your point. If you watch the congressional hearings you will find that the representative from Indiana (Dan Burton) stated as proof that the mercury in vaccines can cause neuro-degenerative problems he showed a study done by the university of Calgary that showed mercury causing axon degeneration. The problem is, the mercury they were studying was the type found in amalgam tooth fillings which is a completely different type of mercury than is found in thimerosal (the preservative in vaccines containing mercury). So let me give you a little chemistry lecture. The mercury is thimerosal is ethylmercury one of two types of biomercury. The type in amalgam tooth fillings is elemental mercury. Elemental mercury has long been known to cause neuro-degenerative problems. It has an extremely long half life in the body (about 44 days) and isn’t completely eliminated in the body for about 70 days. As such it can accumulate to levels that cause problems. The two types of biomercury are ethylmercury and methylmercury. Methylmercury is the type found in high levels in seafoods and rice and can be changed into elemental mercury with high enough doses and repeated exposure. Ethylmercury in thimerosal only has a half life of 3.7 days and is completely eliminated in the body shortly after that, primarily in your stool. In the end, countless studies have shown ethylmercury does not accumulate in the body, reaches its peak levels at around 24 hours after exposure however those peak levels are so low that even if it was elemental mercury it wouldn’t cause problems. In the end Annette, look at my references, read the 2013 study published in the journal of pediatrics. It shows how and why thimerosal isn’t a problem. But hey, you could always continue to ignore good science in favor of ignorant rants by uneducated representatives. It’s just not going to get you far in your doctor’s office. Scott – Science is not perfect, so stop pretending that it is. Why do you keep regurgitating this crap, which pits us parents against each other. Instead, please post an article about what pharma and the gov’t are doing to make vaccines safer and more effective. The MMR vacine that Wakefield railed against didn’t contain thimerosal anymore at that point in time, so the whole “mercury causes autism” thing was moot anyway. Moreover, Wakefield was involved in a startup that was going to produce a single measles vaccine. He had a business interest to scare people away from the standard MMR vaccine. It bears repeating that Wakefield perpetrated a fraud: he had falsified data on all of the 12 test subjects in his study. I think it’s a shame he hasn’t been prosecuted for attempted murder. Due to his fraud lending scientific credibility to the whole “vaccines cause autism” scare, the vaccination rates in the UK at times have nosedived to below 80%. And now he has fled to the USA and continues to spread his lies there. Vaccination not only works on an individual level, but also through “ḧerd immunity”: the more people are vaccinated in a population, the less chance the virus has to get a foothold there. So vaccinating your child not only protects the child him/herself, but also their classmates and the neighbours etc. Some of those are simply too young to have had their shots, others didn’t get them for sound medical reasons, and others (like me) were born before the MMR vaccine was introduced. And this herd immunity is important also because no vaccine gives 100% protection against protracting the disease. 1) What are the author’s thoughts on the Hannah Poling case? This site, todayifoundout leaves a lot to be desired. It reminds me of snopes which is another joke. You see, I asked an immunologist who graduated from Harvard these questions: Do they test out vaccines on animals with similar immune systems to us? She said yes, they do. My follow up question was, do they ever expose the animals to the disease itself to see if the vaccines protected the animals? She said, no. They never do. All they do is look for the presence of antibodies. That’s it. Ever hear of Dr. Merrill Chase? Dr. Merrill W. Chase, an immunologist whose research on white blood cells helped undermine the longstanding belief that antibodies alone protected the body from disease and micro-organisms. So the presence of antibodies does not equate to protection from the diseases themselves. And then you have cases like two whistleblowers from Merck who came out and said what their old company is doing is illegal and fraudulent. Krahling and his co-worker from Merck came forward and explained how blood samples were tainted with animal antibodies in respect to the MUMPS portion of the vaccine to give the appearance of working when in fact, they couldn’t prove anything close to a 95% efficacy rate. Merck needs to show that they have such a high efficacy rate in order to maintain their monopoly on the MMR. So Merck has tainted the blood samples with animal antibodies! I mean, this is worse than Bernie Madoff sending out false statements to clients but essentially, they’ve done the same thing in a sense–falsified data. And look, here are forty Harvard students getting the Mumps who had been vaccinated for it. So, how can any person say that had they been vaccinated, they wouldn’t have gotten the disease they had been vaccinated against? It’s impossible to know that. Those Harvard students were supposed to be immune to Mumps. Again, the presence of antibodies does not equate to immunity. Show me if I’m incorrect in anything I’ve presented. I’m open to learn more. What I do know is money has been paid out to families who have been vaccine injured and that vaccine injuries are real. Hannah Poling became autistic after being vaccinated. The government tried to seal and hide this landmark case. I also know that there is a CDC whistle blower who came out and said the CDC lied many years ago about their MMR and autism findings. When you put all of this information together, to me it seems that it isn’t so clear that vaccines are either safe or effective. And of course, I know several people who have never been vaccinated and who have been healthier than all of my vaccinated friends put together. When I was a kid, we had the chicken pox. Why shouldn’t kids be exposed to the chicken pox? In fact, I just read that those who have had the chicken pox would be less likely to have brain cancer. Did you read that? The fact remains that this article needs to be updated. Everyone talks about the Lancent article but what about the CDC itself and their own whistleblower Dr. Thomson?! Wouldn’t you be suspect of an organization that has a revolving door to pharmaceutical companies. Colleen Boyle is a fraud and there are so many like her! People need to wake up. Not only do vaccines cause autism, they cause other brain injuries as well as harm the immune system. Practically all expert witnesses who provide consulting services to attorneys in legal cases are paid. Should all testimony provided by a paid expert witness be disregarded due to an appearance of a conflict of interest? That would be a huge blow to the legal system. The fact that Wakefield was a paid consultant is not irrefutable proof that his study was fraudulent. All I see here are unsubstantiated accusations. What falsified data? What conflicts of interest, other than the standard practice of being paid to be an expert witness. How was his research void of ethics? Scott says he’s conducted a great deal of research on vaccines. Was he being paid to conduct any of that research? If so, by whom? Is Scott hoping a pharmaceutical company will give him a grant to conduct research in the future? Scott writes, “…numerous studies performed between 2002-2005 showed no link between autism and the MMR vaccine.” Who funded those studies? Pharmaceutical companies maybe? Were any studies discontinued (and, therefore, not published) when it appeared they would show a link between autism and the MMR vaccine? So I guess all these parents who swear their kids were perfectly normal before receiving an MMR vaccine and soon thereafter began showing signs of autism are to be ignored because they have no scientific backgrounds? Chalk all their cases up to coincidence? Is Barbara Loe Fisher, president of the National Vaccine Information Center, http://www.nvic.org/about/barbaraloefisher.aspx, an idiot or a charlatan or both? Why has the Vaccine Injury Court paid out over $2.6B in claims since 1989? And why did a court issue a judgment that could amount to $20 million in damages to a family whose child allegedly developed autism after being administered a vaccine cocktail? Is it possible that the issue of whether some vaccines or vaccine cocktails can cause autism or other disorders is not as black and white as Scott would have us believe? Does Scott’s article really put this issue “to bed” once and for all? Just because some vaccines have been a boon to mankind, does not mean all vaccines are safe. Where pharmaceutical companies stand to generate tremendous profit margins from the sale of their vaccines, and where numerous scientists, doctors, universities, publications, and politicians, benefit from grants, advertising dollars, campaign contributions, or other pharmaceutical company largess, maybe Wakefield is not the only one whose conflicts of interest should be examined. Mike, I fear that Scott can not answer any of your questions because he is blinded by science. I know for a fact that vaccines do not cause autism. I have an nine year old brother that is on the autism spectrum and we have been told that lack of oxygen to the brain at birth was the case. Actually, vaccines can cause Autism; when you refuse them, that is. Take the case of my cousin, who was born in 2008, who never had any of her early vaccinations, and because of this, caught measles when she was nearly four. It was after her recovery that she developed Autistic behaviours as a result of the brain injury caused by the virus, and she was diagnosed with Childhood Disintegrative Disorder even though she didn’t actually have enough of the symptoms (based solely on age of onset). So basically, what I’m saying is that lack of vaccination can cause Autism, if only indirectly. Okay, so let’s consider for a moment that vaccines DO cause autism (And this is JUST a “what-if” scenario. ), and you have a child who catches a disease that could leave them on life support at best, that can only be treated via a vaccine. Would you REALLY condemn them to suffer based on some highly slanted “research”? Why aren’t we demanding safer and more effective vaccines? In 1973, we had just moved to Nogales, Arizona from Denver. Colorado with our newborn son, just a few weeks old. He was a bright, alert baby with a good Moro’s Reflex and slept most of the time. My wife checked in with the local health department and much to our surprise took our newborn son without so much her permission and vaccinated him on the spot (as a long time health professional the dictatorial zeal of those administering vaccinations has always disturbed me) . She came home, and that night he was limp, flaccid, and feverish, his body temperature shot up to 105 degrees and stayed there for 3.5 days no matter what was given him to bring it down. When this ordeal was over, a new one began: he just laid there and stared with a vacant expression for days. We new immediately something had changed and it was a direct result of the vaccines given him. As time went on, he didn’t crawl, could not turn over on his own, and would not stand on his own until he was about 9 months old, and even then had little sense of balance until about a year old. His first words came at about age 4 and were unintelligible for the most part. We tried to enroll him in Kindergarten, and was dismissed as unready for school on the spot. He did first grade over, each time being sent home saying they thought he was deaf (since his dad is deaf), over and over every year (he has perfect hearing, even to this day, incidentally). We worked hard with our son to overcome the devastation caused by caused by early vaccines–today, although some autistic traits linger, he has outgrown most of them, owns a home, is married (a rarity in this population), and leads a normal life. To this day, I will tell anyone that asks that early vaccines caused our boy to go autistic, a condition that affects affects boys 9:1 over girls because of weaker immunology. After more than 40 years in healthcare I advise all parents to wait until the child is 6 months old and at a time they are not sick with something to start the vaccines. Vaccinated newborns, which is giving us lots of autistic boys today, is a totally reckless policy . Whether the affects are direct or indirect, we can debate that all day and get nowhere, doesn’t matter. It happens; its concurrent for many people, and parents’ concerns need to be respected not ridiculed. I am scientist and I can tell you the Zeigesit of our times still borders on barbarism on a number of public health issues. 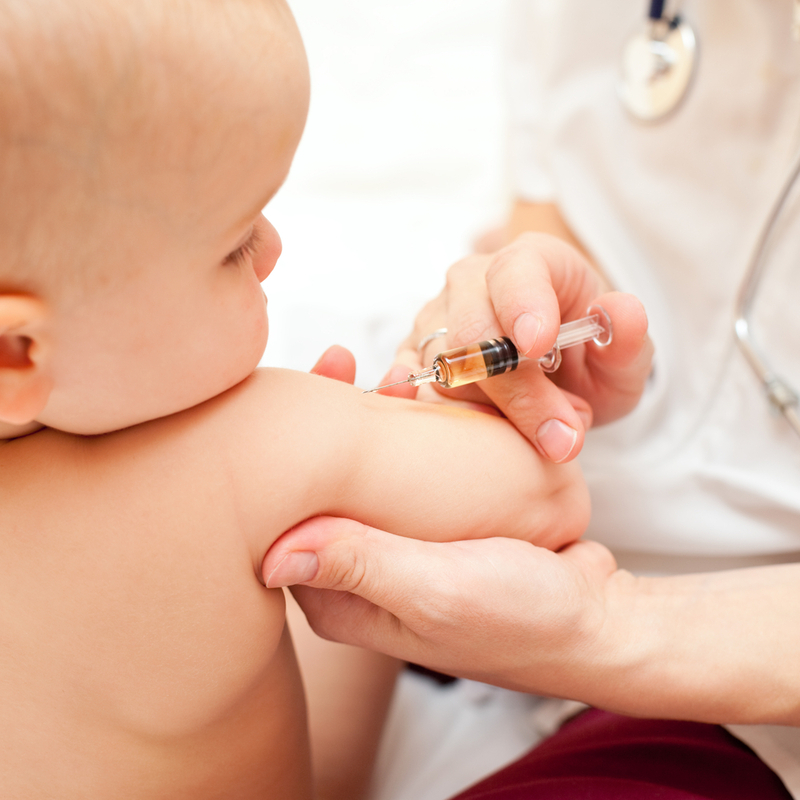 We have far to go–yes, we need to vaccinate, but we need to use our heads, too. Our experience is legion in the US. So, your kid had a 105° Fever and you just left him like that for three days??! No, the vaccine did not cause your kid to ” develop” autism…. your lack of parenting and caring for your child was why it happened. It is most likely they had meningitis , encephalitis, or other illness involving the brain/ spinal cord. But you neglected to think that any kid with a fever that high could KILL them. His fever was probably so high for so long he suffered some brain damage. Nobody ever said vaccines were 100% preventative against illnesses, so yes, maybe he picked it up from somebody, but it was NOT a direct result from the vaccine. As a person with an autistic sister, It is very DISREPECTFUL AND INSULTING for people like you to use something as serious as autismis, in place as an excuse to the the things you can’t explain and things that didn’t have the outcome you had hoped for. Shame on you! I am totally certain that vaccines have something to do with autism. We are giving vaccines to our babies way to early, and way-way to many at the same time. Their little bodies can not handle the on-slot. I don’t care what anyone says, most professionals don’t want to admit their mistakes. What is wrong with changing the schedule for vaccines, giving their little bodies a chance to absorb them gradually. When you see how much they give at one time, it is very scary. Perhaps the first part is true, perhaps not, but to say the anti-vaccine parents have no regard for the welfare of their children is patently false. I have friends who are virulently anti-vaccine, BECAUSE they love their children and others. To say they don’t simply because they disagree with you is smacks of Alinsky non-thought to demonize those who disagree with you. This tactic is highly offensive (other such demonizing are the words homophobic, anti-science, war on fill-in-the-blank…). We’ll all move along better in this world if we advance our ideas, conclusions and opinions and let them stand by themselves, rather than smearing those who disagree. No, it’s absolutely right that those parents who don’t vaccinate their children have no regard for the welfare of others’ children. Vaccines not only work on an individual level, but also on the level of the community. This is called “herd immunity”. As vaccines don’t give 100% protection, the more there are unvaccinated children in the community, the more also the vaccinated children are at risk of still contracting the disease; or those who aren’t yet vaccinated because they’re too young, or because of another sound medical reason. So, yes, parents who don’t vaccinate their children put others’ children also at risk. I could care less whether they do so out of ignorance or due to misinformation from the likes of Wakefield and Jenny McCarthy. Smallpox has been eradicated thanks to vaccination. Polio has nearly been eradicated; the only regions where it still occurs are Taliban-controlled parts of Afghanistan and Pakistan, where doctors who try to vaccinate must fear for their lives. I see I’m late getting into this conversation, but I’d like to go a different direction: Solid nutrition. Before conception, during pregnancy, during childhood. The problem is pretty well defined as “abnormal development in the brain.” So where does this come from and can it be helped even after the fact? I know of numerous anecdotal incidents that have demonstrated remarkable results in improvement of functionability on all levels–mild to profound– as a result of careful attention to balanced nutrition for those observed displaying symptoms on the spectrum of Autism. Certainly care should be given to subjecting children–babies–to any unnatural substances, whether food–processed–, vaccines, stimulations, etc. If any such are deemed necessary, certainly small amounts spread out over time would be preferred. If life or death situations arrive, you have to do what you can, of course. How about some studies on the positive side: What is the incidence of children with developmental problems of any kind born of parents who maintain good health and nutritional programs before conception, during pregnancy and after birth with their children? How about studies of the effects of balanced nutrition for children diagnosed with disorders of any kind? Here is some food for thought: Countries, such as third world countries, who do not have the same vaccines or vaccines at all comparable to first world countries, do they or do they not have autism in their population? In my opinion, yes they probably do. I do not have all the data it’s just my opinion based of a Google search of “autism in the world”. I have an autistic child. And I do not believe he became autistic due to vaccination.